Jubilee extols hustler mindset but not hard work – Kenyatta University TV (KUTV). All Rights Reserved. Amani leader Musalia Mudavadi has said the National Super Alliance, or NASA, is about ending Jubilee misrule that has seen Kenya deteriorate. He said on Monday the yet-to-be-registered outfit belongs to all people who know Kenya “is in the ICU and will die if not rescued from the misrule in which corruption thrives and the national debt is unsustainable, amid rising poverty”. “Let’s be in solidarity as political parties, trade unions, civil society, saccos, boda boda riders, the youth, women, matatu owners, drivers, cooks and watchmen. NASA is not about the ambitions of one person or political party. Our common goal is to protect Kenya,” Mudavadi said. He accused the Jubilee administration of failing in its youth agenda and instead corrupting the youth with the wrong values such as “hustling as a vocation”. Mudavadi said Deputy President William Ruto implants the “hustler mentality in youth” and only sees them as voting machines. He said Jubilee evokes the agenda to steal from the youth. “They’ve corrupted everything and target the morals of our youth. This cursed administration does not believe in the values of hard work, but a strange pseudo-work ethic called hustling. They proudly proclaim themselves hustlers as if those who work hard to earn a living are fools,” Mudavadi said. He said anyone claiming he is still in Jubilee because “I took him there” is lying. “These fellows, who overstayed a visit to someone’s home, should know they have abandoned the electorate and have been forgotten. The lost sheep should carry their cross and not attempt to offload it to me. 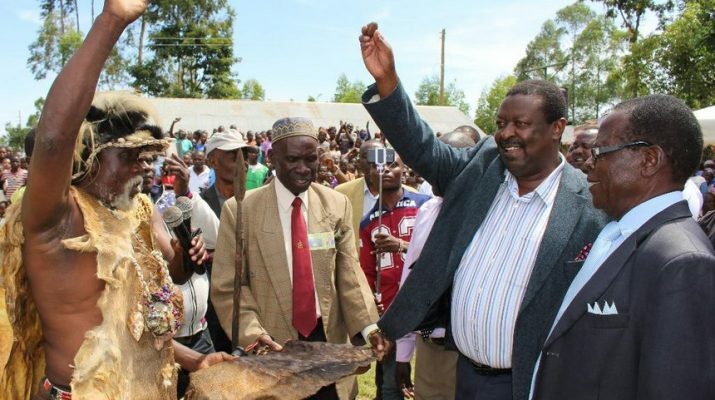 My hands are full with ANC,” Mudavadi said.